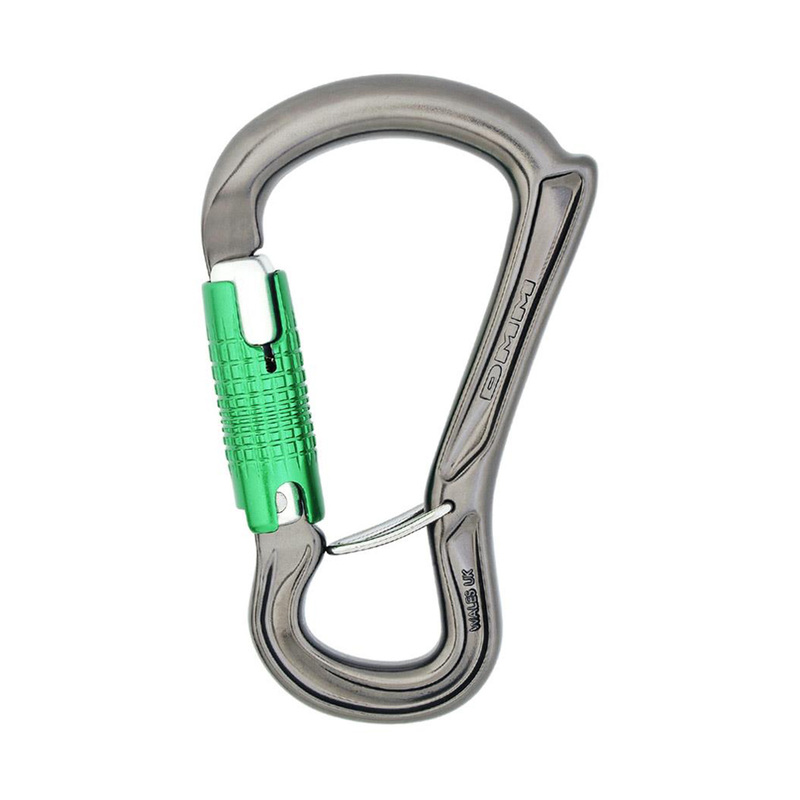 The DMM Ceros Locksafe offers extra security over a regular HMS carabiner. The Locksafe gate—which requires three specific movements to open—locks automatically, reducing the chance of human error. An internal wire gate helps to keep the Ceros positioned correctly on the belay loop or rigging system to prevent cross-loading, whilst the horn prevents assisted braking devices from slipping down to the carabiner's spine. Overall a belay 'biner that reduces the chance of incorrect loading and human error—a safer option. Best carabiner for belaying I ever put my hands on! High quality ‘biner. Locksafe mechanism takes a little time to get used to, but I can now easily unlock with one hand. The anti-cross loading thingy works well and is easily installed and removed from belay loop or gear loops. All up, a very worthwhile purchase.